Room service from the Restaurant. Large Balcony with chaise lounge and Breakfast table. My Niece in Rio is the Property Manager, and she is available to assist you. The view is just spectacular. The owner is very accommodating and responsive, and the building staff is friendly as well. Really enjoyed our stay! Trust all the other reviews, this place is amazing and the location is just about perfect. 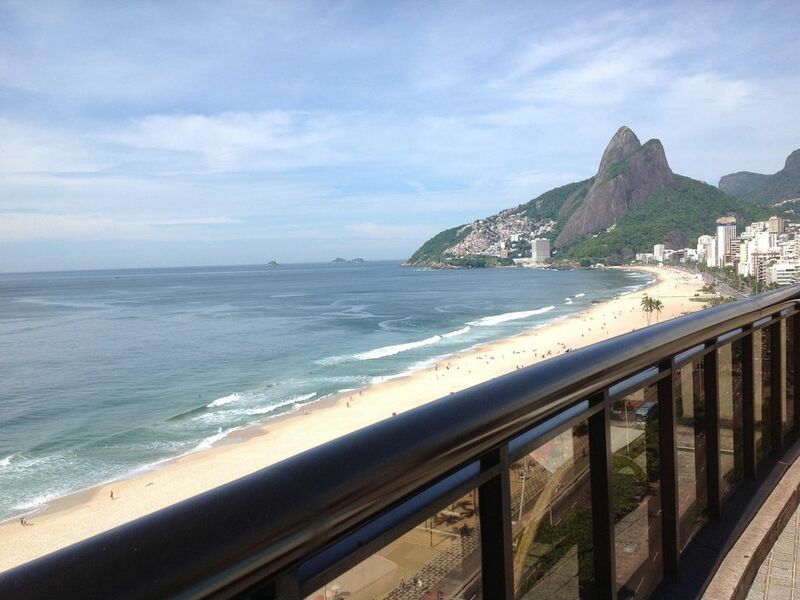 Literally at the beach, big balcony overlooking all of Ipanema, and all the amenities of a first class condo. Just book it! Worked out great for us 4 60+ year olds. Great concierge help. Great location to restaurants and farmicias, groceries etc. Spectacular apartment with amazing views. Excellent staff and service. Very comfortable and clean. Plenty of linens and towels. Very efficient. Pictures cannot due it justice. Perfect location. You will not regret choosing this apartment. If you feel home sick you can find : Starbucks, McDonald, Subway, Dominos, Burger King, Mexican Restaurant, French restaurant, Italian restaurant, among many others. CityBank, HSBC, Santander, Currency Exchange and other agencies. Metro, bus and taxi station. Cancellation with full refund 30 days prior to check in.